With BuyPoints it makes fun to play on your Server. 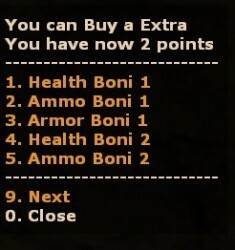 The Players can kill other gamers and get Points, with this Points they can Buy extras, e.g 20 more health etc. The Addon have a Update Notification, Menu Sounds, buy sounds and so on.